The 2018 Mazda CX-9 is more than just a pretty face — it’s a safe SUV, too. This three-row SUV was recently awarded the highest possible safety rating from the National Highway Traffic Safety Administration (NHTSA), receiving five starts overall for crashworthiness. To earn this rating, the CX-9 had to undergo the NHTSA’s rigorous collision tests. It receive a combination of four and five stars in the frontal crash, side crash, and rollover tests to help give it its five-star overall rating. One of the big factors in helping the CX-9 get such a great rating is thanks to its i-ACTIVSENSE® suite of driver-assistance technologies. This system offers ten different innovations including Lane Departure Warning, Blind Spot Monitoring with Rear Cross-Traffic Alert, Lane-Keep Assist, and Forward Obstruction Warning — but that’s not all. 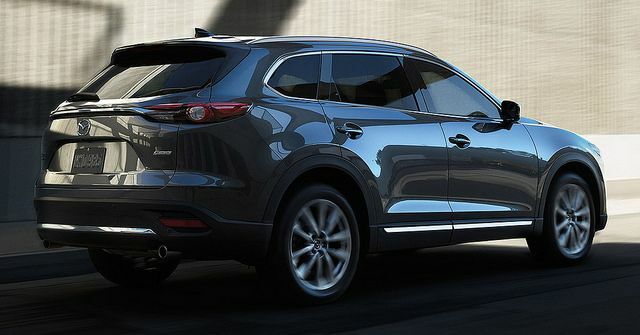 Along with this safety technology suite, the CX-9 now comes standard with Smart City Brake. This is a new system that automatically applies the brakes if it senses an obstruction or hazard in front of it while traveling below 19 mph. These active features aren’t the only thing protecting CX-9 passengers — Mazda also employs a SKYACTIV®-Body designed for passive safety. It has a ring structure and straight frame rails that help absorb impact when a collision occurs, helping you drive with more confidence than before. Celebrate the CX-9 model’s latest safety rating by stopping by El Dorado Mazda for a test drive and to learn more.